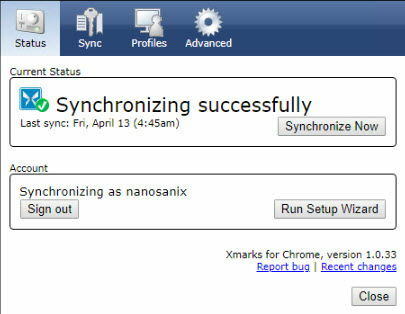 XMarks was a bookmarks synchronization service which could be used to synchronize your bookmarks across multiple browsers as well as multiple devices. I used “was” because XMarks is being discontinued by LogMeIn on 1st May, 2018. In this article, we will discuss about the best XMarks alternatives available for bookmarks synchronization across multiple browsers and platforms. In today’s world, using multiple web browsers is a norm. But it can get problematic when you have to synchronize your data across all the browsers you are using. Of-course you can manually use the browser’s import and export facility for synchronizing the data but it’s always the most efficient solution. Let’s first discuss about the best XMarks alternatives available online for bookmarks synchronization and then we’ll do the actual migration of bookmarks from XMarks to other services. Start.me is more of an all in one services which offers widgetized start page where you can configure different widgets of news, notes, RSS feeds, boomarks and other widgets which include weather, email, calendar, todo-list etc. The interface is quite user-friendly and adding new blocks/widgets is easily done using a single + button. The user can use drage and drop interface for organizing blocks and widgets on the homepage. The drawback of Start.me is that it does not synchronize the browser bookmarks. You will need to add bookmarks inside the Start.me extension to synchronize with the Start.me account. 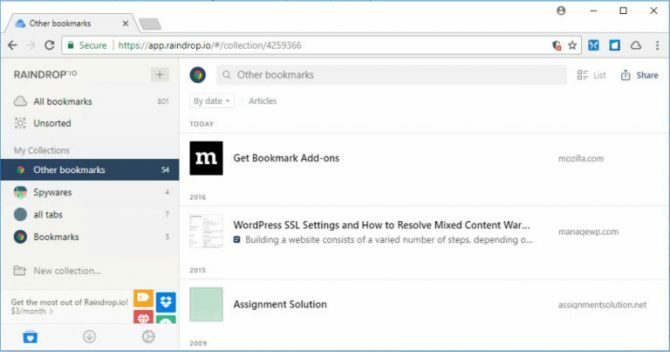 Raindrop.io is another bookmarks synchronization service which is very much like Start.me but apart from the traditional bookmarks, it can save and organize other types of data like articles, photos, screenshots etc. Raindrop.io gives users an easier way to organize with auto-suggest tags, thematic collections, bulk operations etc. Once installed an extension on your browser, you can easily access your synchronized bookmarks from the toolbar icon. The only thing that I didn’t like about Raindrop.io was that it didn’t automatically synchronize the browser bookmarks. For automatic synchronization, you will need to save your bookmarks using Raindrop.io extension. 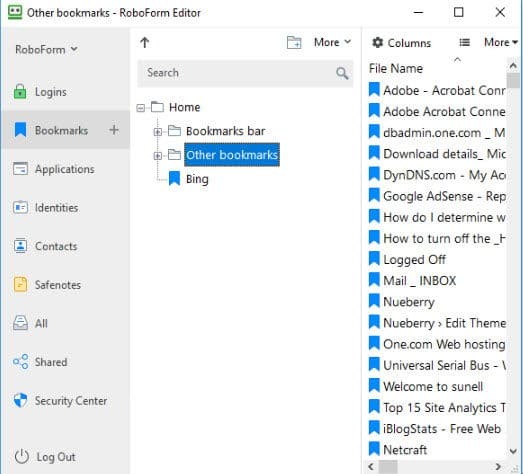 RoboForm is advertised as a password manager and digital wallet but it can synchronize bookmarks as well. It is the best combination for any user to have passwords and bookmarks together on every device. RoboForm is free to use if you don’t want to synchronize all your data across all devices. Otherwise you can get the Pro license which is only $19.95/year which includes automatic synchronization and other features. Migrating from XMarks to any other service mentioned above is easy. From XMarks account, you can export your bookmarks in the form of an html file which can be imported to any bookmark synchronization service. Just follow the general steps below for smooth migration. Save the downloaded HTML file. Import the HTML file to any other service using import feature. While I can’t find any service which is exactly the same as XMarks, I prefer to use RoboForm which can save my passwords as well as bookmarks and notes securely. How to you backup or synchronize your bookmarks across browsers? I loved Xmarks and miss it. There’s nothing that replaces what Xmarks did. I have found RoboForm to be the best replacement overall. I did try all of these options and several others. Only RoboForm worked well with Windows 10 and its default browser, Edge. If you’re going to use a cross-browser system, then presumably the default browser is at least one of the browsers you want to support, even if it’s not your main browser. Plus, the latest iterations of Edge work spectacularly well with Windows 10. The others seemed like abandonware, at least on Windows 10. They appeared not to have been updated since the XP days, with no support for Edge, touch, the Notification area, or anything. Because I blamed LastPass for dropping support for Xmarks, and RoboForm was first and foremost a password manager, I have also shifted from LastPass to RoboForm for password management. This was a simple process – RoboForm imported all my LastPass data in a few seconds. Now I have 1 program to do everything. That’s a nice consolidation. 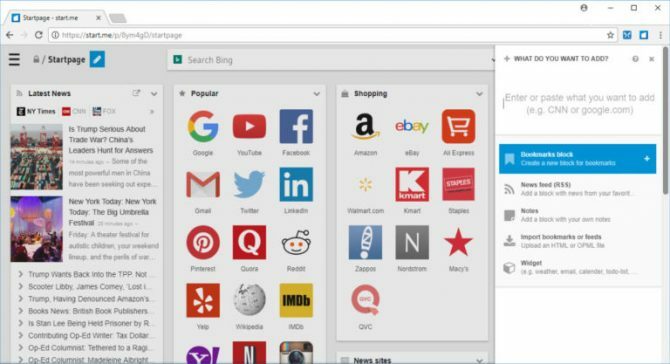 RoboForm still doesn’t do what made Xmarks special – syncing the bookmarks with the native bookmark/favorite system of each browser. Instead, it keeps its own Bookmarks list you access by clicking on the RoboForm icon near the address bar. This is not as good as the native bookmark/favorite experience because you can’t choose the sort order of the bookmarks within each folder (they’re always sorted alphabetically). The icons for each are also smaller than in some browsers, but it does show the favicon for each bookmark. If you really want to sync back to the Browser, RoboForm does support exporting Bookmarks to HTML, from which point all the browsers can import it. That’s not a real sync, but may be better than nothing for some. To Bonfire’s question, no, I don’t think it supports profiles, but you can create as many top-level folders as you want and copy bookmarks or subfolders between them. So you could have a work folder and a home folder, and duplicate any bookmarks you use in both places. Hi GraniteStateColin, thanks for sharing your experience in so much detail. Roboform is certainly the best choice if you want a paid solution. But most people will shy away from paid alternatives and will look for something free with similar functionality. One other alternative that I have my eyes on is Syncmarx. It is very similar to XMarks but it’s still in its early development stages. It can’t synchronize tags, descriptions etc but the bookmarks are synchronized. I will wait for its stable release. But if anyone is looking for an all in one solution, nothing beats Roboform. Thanks. I never heard of Syncmarx. I’ll look forward to checking that out. Ah, I see that Syncmarx is currently only looking at Chrome and Firefox. One of the key strengths that made Xmarks great was the range of browsers it support (what’s the point of cross-browser syncing that only supports 2 browsers?) It included those two, plus all the OS browsers Edge, IE, and Safari. It also worked fine with Opera (though Syncmarx may too, because generally Opera runs Chrome extensions). I did post a note to the Syncmarx developer asking to add support for MS Edge. That would be critical to my using it. Helpful article, thanks. But can you tell me if any of them have a profiles feature like xmarks did? I liked being able to have different subsets of my bookmarks on work and home computers. The most similar for me was to use Eversync (https://www.everhelper.me/synchronizer.php) in order to synchronize all my local bookmarks between web browsers. It works almost like Xmarks and has auto-sync (every 30 minutes) and addons for Firefox, Chrome, Internet Explorer, iOS, Android and Windows Phone. For me it’s the best alternative I’ve found so far.